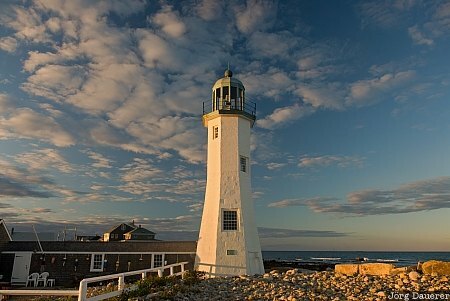 Clouds above the lighthouse Scituate Light at the atlantic coast of Massachusetts in the east of the United States. This photo was taken in the evening of a cloudy day in September of 2006. This photo was taken with a digital camera.